Australian Jensen Forums • View topic - 2014 Meetings? Is there a calendar of meetings or shows (by State) relating to, or involving Jensens for 2014? 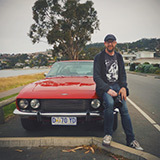 My 'memership' to the Australian Jensen owners club is pending some sort of approval or administration issue, so was wondering if there was a schedule and that it may be posted here to allow a bit of notice to get stuff fixed and rolling in order to attend. I understand the Australia Day 'Sydney Motorfest' is no longer sponsored by the NRMA but surely cars gather for some sort of display. I've had to work the past few (11) Australia Day's, but if there's a hint of a product from West Bromwich present this year, I'll be there with bells on! Oh, and all the best for a prosperous 2014. I found it under a Google search of "Jensen club Australia", but their website is under maintenance and I haven't been contacted by an Administrator to be allowed access - www.jensencarclub.org.au is their address. I've seen a few photos of a Shannons sponsored event at Eastern Creek (NSW) a few years back, with a couple of Interceptors, so I'll do some research and post some dates here if I come up with anything. The club is somewhat backwards with regards to the internet - that website has been up like that for quite some time. Sites with pages saying "Under construction" or "please check back for regular updates" usually stay that way - the content has not been created before the site is built and then it never gets done because it gets forgotten about... I did offer to help them out with it as well as offer this forum to the club but it fell on deaf ears, so what can you do. I know some committee members have said there will never be a forum because "they kill car clubs" (erm...) and there seems to be a definite lack of interest in publishing much online, they want to keep it all in the magazine. That said I am renewing my membership tomorrow. Yep, I'm going to pursue the membership. I've been active in another 'car' forum for the past few years and as more general discussion topics were made available, they typically descended into rants and abuse over others opinion toward pretty much anything. The moderators were attacked in their so-called censorship of 'free speech' - it was such nonsense. The site now rarely hosts genuine discussion about the cars themselves, and more closely resembles the Womens Weekly or some stupid FM radio station, which is disappointing. And being a Land Rover site, thats not something I'd expect. The keyboard warrior ruled and the cars were forgotten. Well not here. Great work Nigel. I've only ever seen supportive and positive posts from people with a genuine interest - love it (same goes for the JOC.org.uk site). + some other interesting toys! Jensens are a way of life. In this day and age with communications the way they are we need to embrace new methods of keeping in touch or the membership/interest will literally die out. I am something of an interweb dinosaur but even I can see the value of it - the next generation will be even better at this form of keeping in touch. And it's the only way we can keep in touch with Jensen owners on the other side of the black stump here. We have members scattered all over the State. I am a member of 3 Jensen related clubs, and they all have some sort of web-based presence. I find them really useful and supportive. Matt - in terms of events and getting an idea of who might be going, there is of course this terrific forum which Nigel has kindly set up and which has an area for 'events' - why don't you put a few posts up? I'm always pleasantly surprised at the number of 'views' that posts have, and I think it will only grow as more and more people become aware of this great site. You mighty get little of no reaction to start with, but persistence overcomes all odds. With respect to censorship/moderation - 'freedom of the press is limited to those who own one' ! Just to say that the JOC are looking at a proposal I had to allow interested parties to subscribe to a calendar. Not sure how, or when it will be implemented but soon. Example is on by mk1 site. Obviously, you could do the same or wait for the world wide calendar. Still under construction but you get the idea. All done using Google calendar. One for each state? Excellent idea. Google calendar would do the job. One for all of Australia would do... as people will potentially drive interstate for a good event. 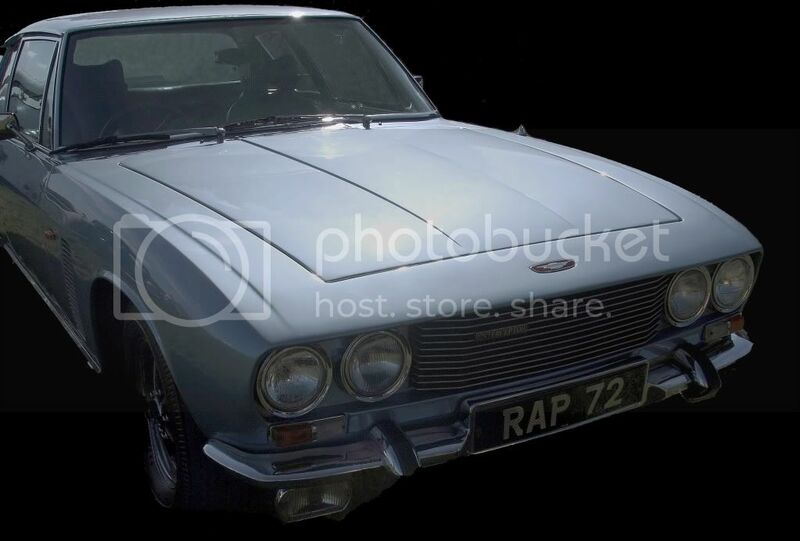 I have just purchased a 1974 Intercept 3 which I am preparing to run in the sprints at the Geelong Revival Motoring Festival (of which I am the event director) on Nov 28-30 2014. It would be great to get some more Jensens along for company.